From packing to product to the company’s philosophy, Wojo Nutrition really seems to hit it out of the ballpark! As with any supplement, I take time to do my research. So, let’s start with the company itself. From the beginning, I’ve wanted to create more than just a supplement. My hope is that Wojo will serve as a tangible reminder to each of us to stop, at least for a moment, and consider the road we want to travel. When I’ve shared the Wojo philosophy with others, I’m always amazed by the responses I get. They show how different we all are and yet how much alike – a little common humanity in our ever-changing world, - Wojo Nutrition Founder Carol Knowles. This philosophy shows in the product itself. 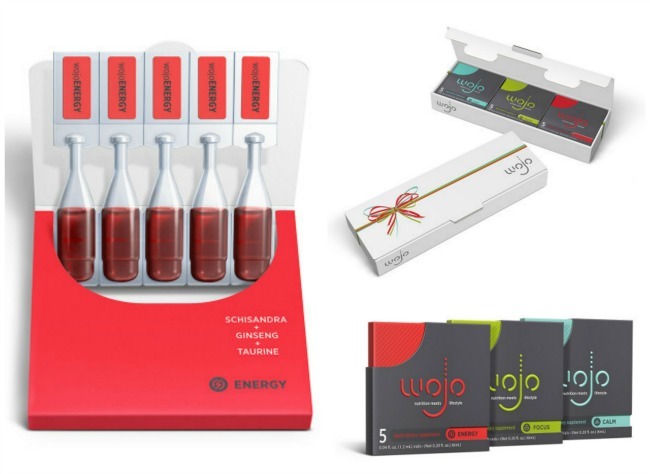 Contained within the Wojo Nutrition Holiday Gift Set are Energy, Focus and Calm. These are nicely packaged in a ready to gift box. 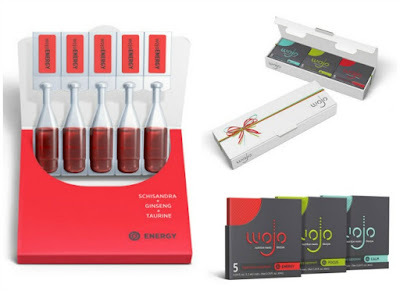 Each of the Wojo supplement packs contains five 1.2 ml vials. The packets are small enough to toss in your handbag or gym bag and have both a lot number and expiration date printed on the outside. “Energy” is packed with Vitamin B-1, B-3, B-5, B-6, B-7 and B-12. Energy also contains several other goodies that help keep you on track throughout a busy day sans the “jitters” that may be experienced from other types of energy boosters. “Focus” also contains all of the “B’s” with a good kick off Gingko Biloba. “Calm” has the “B’s” plus L-Theanine to help unwind at the end of the day. Wojo products do not contain sugar, artificial sweeteners, artificial colors, and artificial flavors and are BPA Free packaged. These are liquid supplements that can be added to your favorite drink! I have tried all three and felt great. The Wojo Nutrition Holiday Gift Set is a great introduction into the Wojo family and obviously makes a great stocking stuffer. Plus, this is a gift that gives back. For every gift box sold through December 31, 2015, Wojo Nutrition will donate $2 to the National CASA Association! You can get your Wojo Nutrition Holiday Gift Set for $19.95 online at Wojo Nutrition! MEDICAL DISCALIMER: This product is not a substitute for medical care. Always seek professional medical advice for the diagnosis and treatment of pain, injury, or irritation. And, prior to taking any supplements.